Synthetic fabrics have taken the lead in recent years in activewear for their superior ability to keep you dry and comfortable, whatever the weather, but there are some natural alternatives too. Nylon - Nylon is one of the most popular fabrics in running wear as it's sweat-wicking, breathable, and super stretchy so it’ll move with you for a comfortable ride. Polyester- Polyester is a plastic based fabric making it durable, lightweight, breathable, and non-absorbent. 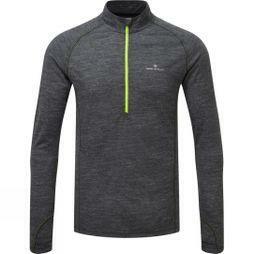 It also repels UV rays and keeps you warm when it's wet making it ideal for running jackets. Unfortunately it doesn't hold the anti-bacterial qualities of natural fibres. 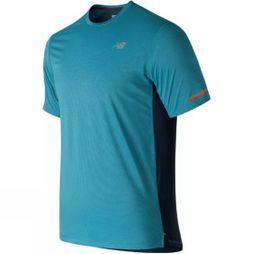 Polypropylene - Popular in running gear this fabric is water-resistant making it a great running base-layer. Regardless of how sweaty you get this fabric will stay dry to the skin's touch. Spandex - Also known by the brand name Lycra, spandex is stretchy and flexible. This synthetic fabric can expand, offering you unrestricted movement, before snapping back and retaining its shape. Bamboo - Bamboo is a great eco-friendly alternative to synthetic fibres and is naturally sweat-wicking, anti-bacterial, and incredibly soft. 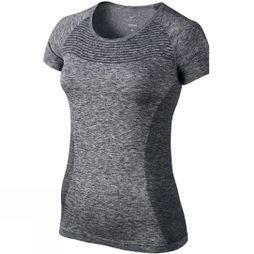 Wool - Merino wool in particular is ideal for both hot and cold weather running as it is temperature regulating, extremely breathable, sweat-wicking, and anti-bacterial. It’s often combined with synthetic fibres such as spandex to give it a more fitted shape. It’s also incredibly lightweight. Cotton - Be aware of cotton; it is not the optimum fabric for running. Not only does it absorb the moisture, it traps it against your skin, making you feel damp and hot as you sweat. New Balance have developed a fabric which keeps you cool and dry whilst running. The fabric is 'sweat-activated', and has moisture wicking properties, meaning sweat will be wicked away from the skin, ensuring you don't get cold during your run or workout. Nike Dri-FIT is a polyester fabric which transports sweat, heat and moisture away from the skin to the outside of the garment where it evaporates, keeping you dry and comfortable. The fabric also has a Body-Mapping construction which uses mesh ventilation in the areas where you sweat the most. This allows heat to escape and cool air to penetrate. 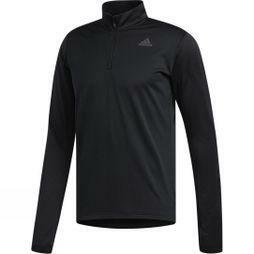 Adidas Clima Warm is a material that is breathable and insulated which is designed to lock in warmth and wick away moisture. Ronhill's Merino 200 will keep you warm in cold conditions and keep you cool in hot conditions thanks to the fibre blend of natural Merino wool and synthetic polyester. Daffodils are blooming and the evenings are getting longer, after the seemingly never-ending winter, spring is finally here. Whether you've been running all winter, whatever the weather, or retreated inside to the treadmill our spring running guide has everything you need from tips to the best gear to hydration to make the transition to warmer weather smooth and injury free.